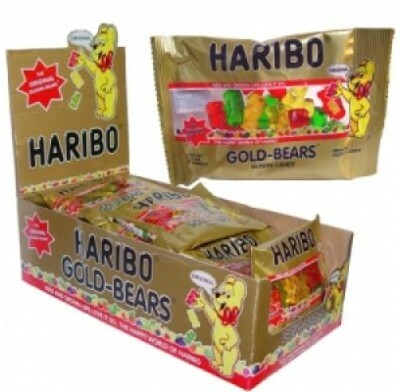 Gummy Bears (Gold Bears) from Haribo, the soft and chewy classic candy in assorted flavors. People around the world know these translucent treats are fun and delicious. Flavors: raspberry, orange, lemon, pineapple, and strawberry. Perfect for Halloween, parties and promotions. 24 - 2oz bags per box..